A story of second chances. 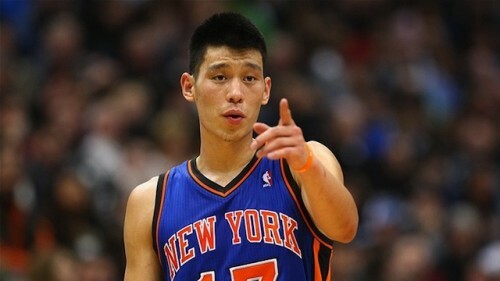 Back in 2012 ESPN found themselves under fire for an unfortunate headline around New York Knicks superstar Jeremy Lin. It seems like it was more than five years ago, but at the time Lin was one of the biggest sensations in the sports world as he was scoring tons of points and leading the Knicks on a significant winning streak. Linsanity was running wild. After a Knicks loss, however, ESPN.com posted a story under the headline “Chink in the armor.” The headline could be construed as a racial pun and criticism was fast and furious and everyone at the company immediately recognized the gravity of the mistake. The editor of that headline, Anthony Federico, was fired by ESPN. Five years later and Federico’s name is a footnote in sports media history. However, he’s moved on with his life toward a new career path and a new calling. Via the Washington Post comes the fascinating story of Federico’s journey after ESPN. He’s now on track to becoming a Catholic priest after attending theological school for the last five years. In his five years at Theological College, the seminary at Catholic University in Northeast Washington, Federico has worked in several parishes and with all sorts of people — from young students to hospice patients, from new parents preparing for a baptism to couples celebrating their weddings to families burying a loved one. Often, when someone seeks his counsel while in the depths of despair, he gently tells them his own story — the hate mail, the death threats, the despondent struggle even to get out of bed as the world condemned him as a racist. In the days after the controversial headline was published, Lin and Federico met after he lost his job at ESPN and found a connection over their shared faith. It was a very unfortunate headline but it was more of a lapse in judgment by Federico than an act of malice. This is popular culture though, where people can go viral for the worst reasons and in some of the worst times of their lives. However, Federico’s story shows that there is life after internet infamy and that second chances are real. If anything, his own brief history in the spotlight can allow him to offer empathy and a deeper understanding for the people that he will encounter in his current career.